Large areas and raised outlines make it easy to create a breathtaking piece to hang in the window. 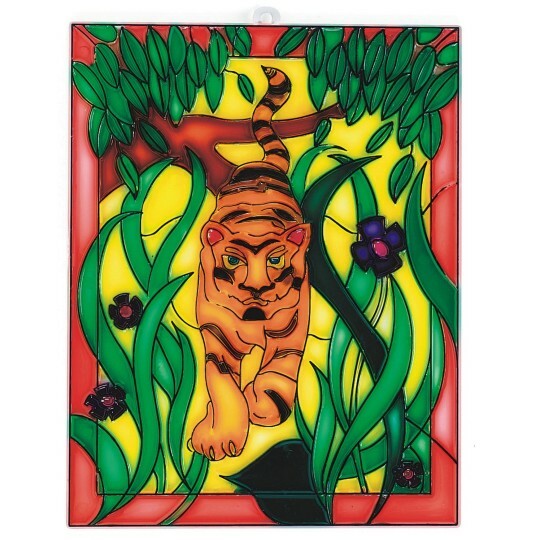 Set contains 12 identical plastic tiger frames. Brushes and stain sold separately. This will appeal to many of the older boys at our summer camp!